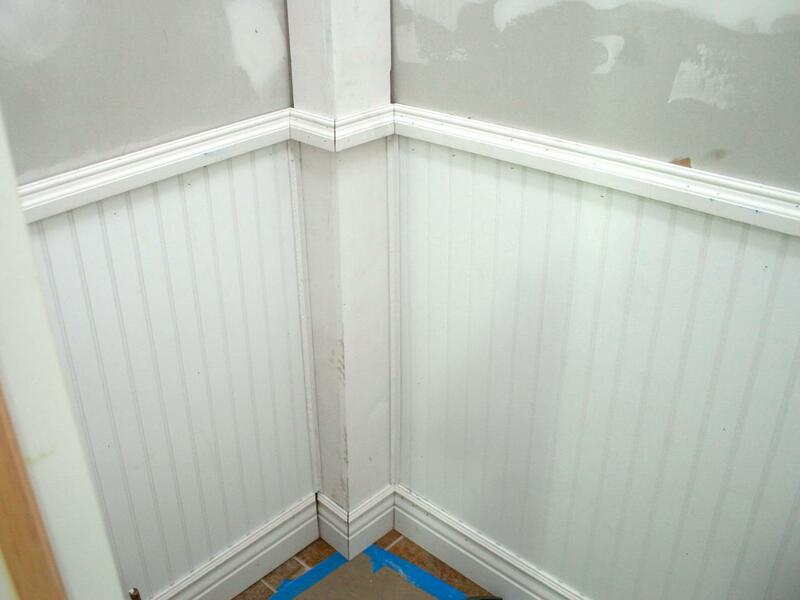 A wainscoting removal guide can serve as a big help when needed. The good news is, there’s not much to the home improvement task but that doesn’t mean you won’t find a bit of a challenge. The reason is when you remove wainscoting, you need to avoid damaging the wall behind it. Otherwise, you create more work and incur an added expense. First, let’s begin with a bit about the material. Wainscoting actually dates as far back as the 1300’s, when the Dutch used it to protect the bottom half of plaster walls. (It has even had more applications through its existence.) Today, wainscoting remains a very ubiquitous home feature, offered in a variety of styles. However, like any other material, wainscoting can become worn. Even if it’s not in bad condition, it could well look outdated. Or, it just might be time for a complete change to a room or group of rooms in a house. Whatever the reason, wainscoting removal is a fairly straightforward DIY job. The good news is, you don’t have to be a skilled handyman or a professional contractor to take down wainscoting. Although, you should be skilled with some common household hand tools. It is also a good idea to have at least one set of help hands on-hand to make the project more manageable. Cut from the top. Wainscoting is usually installed sealed against the walls. This is typically done with caulk so moisture cannot get between the paneling and the walls to form mold. Use a utility knife to cut into the seal gently across the top of the wainscoting, going around the entire room. Locate the wall studs. Next, you’ll locate the wall studs with a stud finder, if the nail heads aren’t visible. Use the pencil to mark the locations of the studs. Then, you can find all the nails that run vertically into the studs to pull them out. Remove the baseboards. Remove the baseboards (if equipped) from the bottom of the paneling. Use a pry bar and exercise caution so you don’t accidentally gouge the floor. Take down the individual panels. With the top railing off and the baseboards off the wall, you can then simply pull the panels away from the wall to finish. If you need any sort of remodeling debris removal, go ahead and phone 800-433-1094 or visit Junk Garbage Removal.